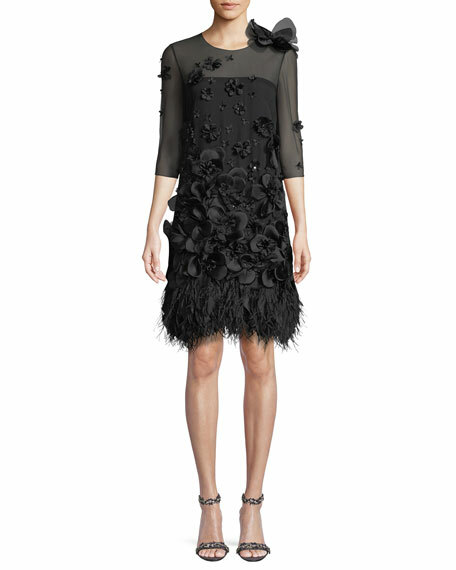 Andrew Gn organza dress featuring 3-D floral-appliques and ostrich feather trim. 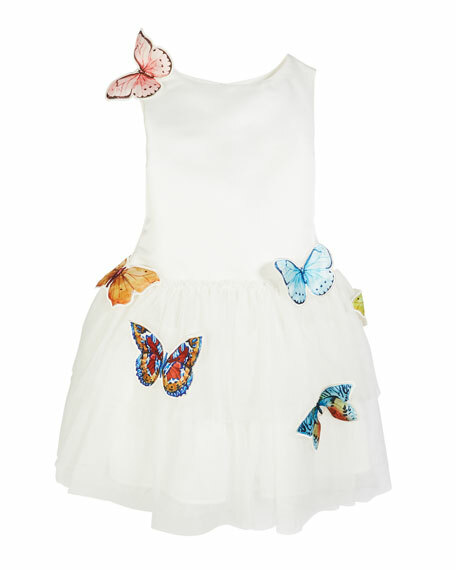 For in-store inquiries, use sku #2363883. 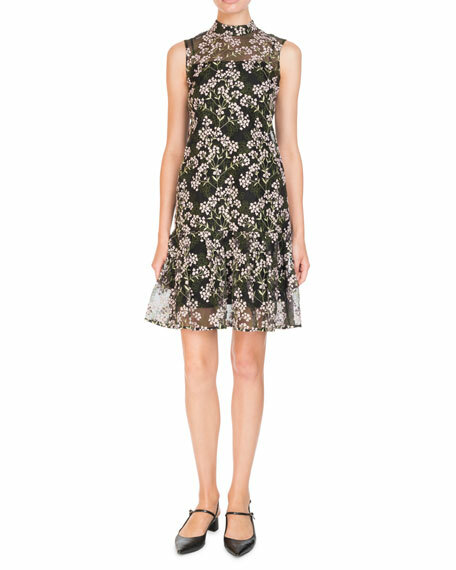 Andrew Gun dress in checkered tweed, featuring floral appliqué. Crew neckline. Short sleeves. Hip patch pockets. Shift silhouette. Mini length. Fringed hem and cuffs. Back zip. Wool/polyester/viscose/glass beads. Made in Italy. 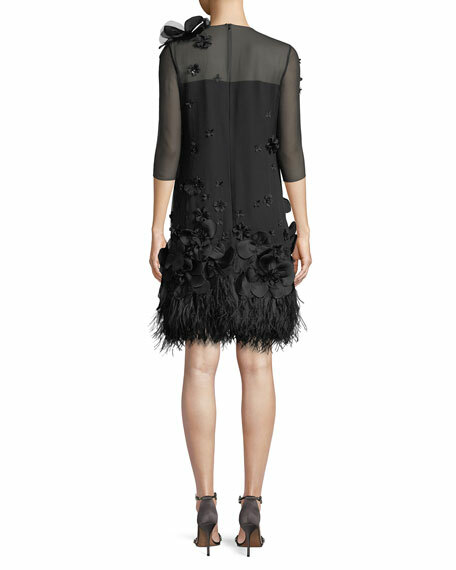 Erdem "Nena" daytime dress with floral-embroidery. Approx. 38"L down center back. High neckline. Sleeveless. A-line silhouette. Hidden back zip. Flounce hem. Polyester/silk. Lining, silk. Imported of Italian materials.